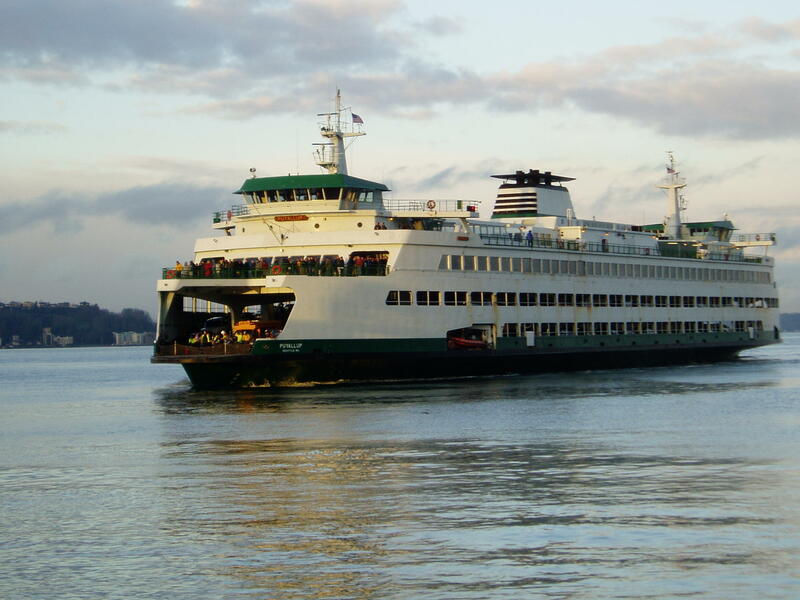 The diesel-powered jumbo ferry M/V Puyallup is in line for conversion to hybrid-electric propulsion. Washington State Ferries has come up with a plan to replace more than half of its fleet with new, electric-powered ferries. But the new plan faces hurdles from a cost standpoint and limited shipyard capacity. Now that electric cars are a common sight on the nation's highways, and prototypes exist for electric trucks and airplanes, could electric ferries be next? The 2018 state transportation budget signed by Washington Gov. Jay Inslee Tuesday includes money to look at converting some of the state ferry fleet.